Heralded as one of the inventors of rock and roll, Bo Diddley explains how he got his name and how he created his landmark guitar sound. We pay tribute to the late Fats Domino with our favorite of the New Orleans piano man's Imperial releases. And we hear the Fat Man's reflective side in a rare 2007 conversation with him about escaping Hurricane Katrina's floodwaters and how his faith saw him through. Veteran blues harp player Billy "Boy" Arnold tells of South Side Chicago's early rhythm & blues scene, recording with Bo Diddley, and Fats Domino's role in pushing black music across the color line. Then, we look back to post-war England with session guitarist Albert Lee who grew up hearing American music on the radio and eventually crossed the pond to play rock & roll stateside. 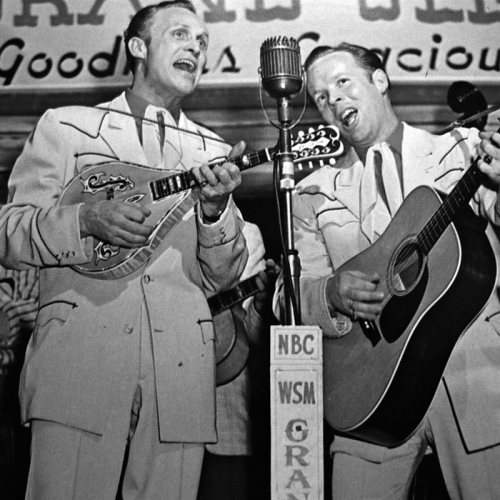 Plus, we explore the roots of rock with blues harpist Little Walter, western swingers Bob Wills & the Texas Playboys and rockabilly picker Carl Perkins. American Routes celebrates Mother's Day with Marty Stuart and his mom, Hilda. We'll talk about their shared love of photography and a certain girl singer, Connie Smith. Then we'll hear stories about mothers from Fontella Bass, Sonny Rollins, Bo Diddley, and Geno Delafose, among others. Plus songs from blues to bluegrass about and for dear old mom. On the next American Routes as the weather warms up we treat you to two very cool guests. 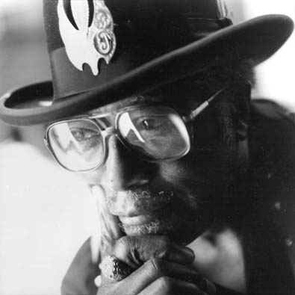 Mississippi-born and Chicago-bred legend Bo Diddley talks about his songs "I'm a Man," "Who Do You Love," and that signature Bo Diddley beat. Tony Joe White comes up from the swamps to play an acoustic version of "Polk Salad Annie," among other tunes. Plus, a refreshing visit to a local New Orleans favorite, Hansen's Sno Bliz, servin' up the best sno-cones you've ever tasted. It's a trip to the American Routes archives as we bring you outtakes, missteps and live performances from Bonnie Raitt, Bo Diddley, Ralph Stanley, Dr. John, and others. Plus live music cuts from Willie Nelson, the legendary Flatlanders and Cajun teen band Feufollet. We're digging through our files to bring you great stories and live performances that never made the air! Lost tapes of Bo Diddley, Bonnie Raitt, Ralph Stanley, Dr. John and more. Plus live music cuts from Willie Nelson, the legendary Flatlanders and Cajun teen band Feufollet. On the next American Routes, we're digging through our files to bring you great stories and live performances that never made the air! Lost tapes of Bo Diddley, Bonnie Raitt, Ralph Stanley, Dr. John and more. Plus live music cuts from Willie Nelson, the legendary Flatlanders and Cajun teen band Feufollet. We'll name some names with songs about "Corina" and "Mona Lisa" from artists like Bo Diddley and Fats Waller. Our guest is a 22-year-old blueswoman who's out to make a name for herself, Shemekia Copeland. Chuck Berry's pianist Johnnie Johnson will take us behind the scenes for the making of their first hit "Maybellene." And we'll step up to the bar to meet a Baltimore man who legally changed his name to American Joe. Plus the legend of outlaw Staggerlee.